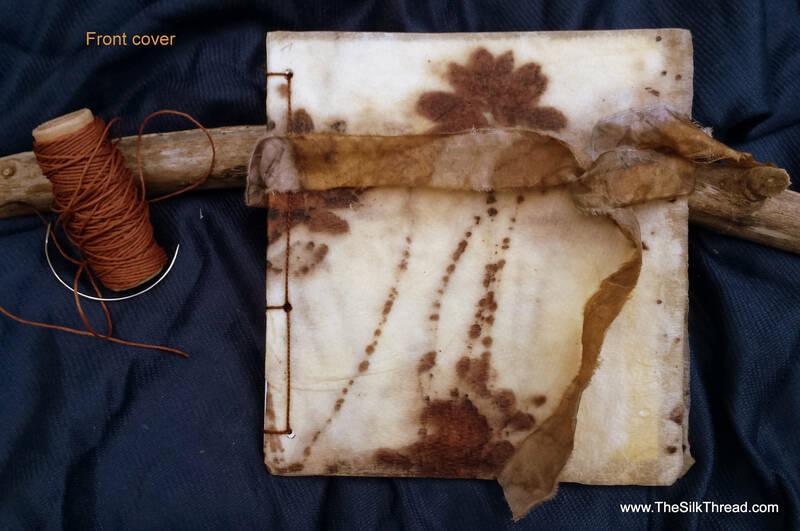 - For this journal: Handmade Ecoprinted front and back paper covers created in a method that feels and bends like leather. The design is from the actual plants that I used in the process. Colors can vary depending on your computer and your monitor may not pick up the soft shades and subtle prints in my ecoprinted silks. Everything handbound and handmade with that comes the charming non-precision of papers being folded and used in a small North Carolina studio located in the rural Piedmont section of the state. Each of my silk pieces and paintings are unique.